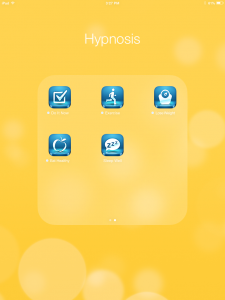 My grandfather always talked to me about how much he felt hypnosis could help me. Primarily with insomnia, but he also felt it could be a great coping mechanism for me when I got anxious or felt too overwhelmed to deal with life. He went on to tell me he did not think I was someone who would be easy to hypnotize since I do not have blind trust; especially with people in the medical profession. He spoke to me about this for years and years and even left me his old hypnosis book when he passed away at the very end of 2012. The last time I saw him, he tried his best to show me what this was all about since when he was stronger (he suffered from Parkinson’s disease,) he used to hypnotize people all of the time. I did get a sense of what it was like but as he put it, his voice was too weak for it to really take affect. But I did see that there could be something to it. 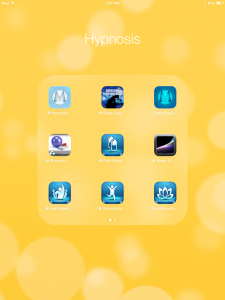 Over the past month or so, I have been experimenting with different hypnosis apps in order to see if it could help me fall asleep. I honestly downloaded any free one that made sense for me in my life (even if I didn’t plan on listening to it in the very near future.) 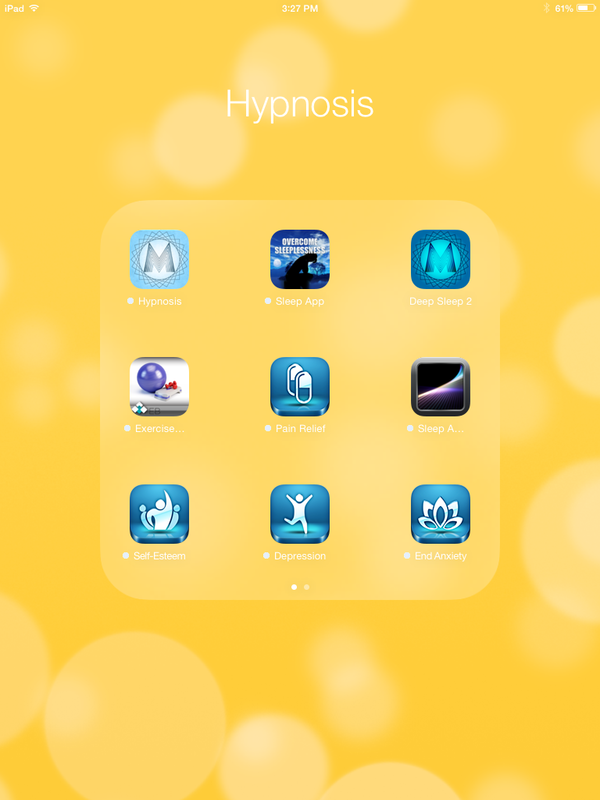 I uploaded apps that helped with anxiety, depression, sleep and relaxation, eating healthy, exercising, self-esteem, etc. Below you can find how I had to make a special folder for all of these apps to fit. 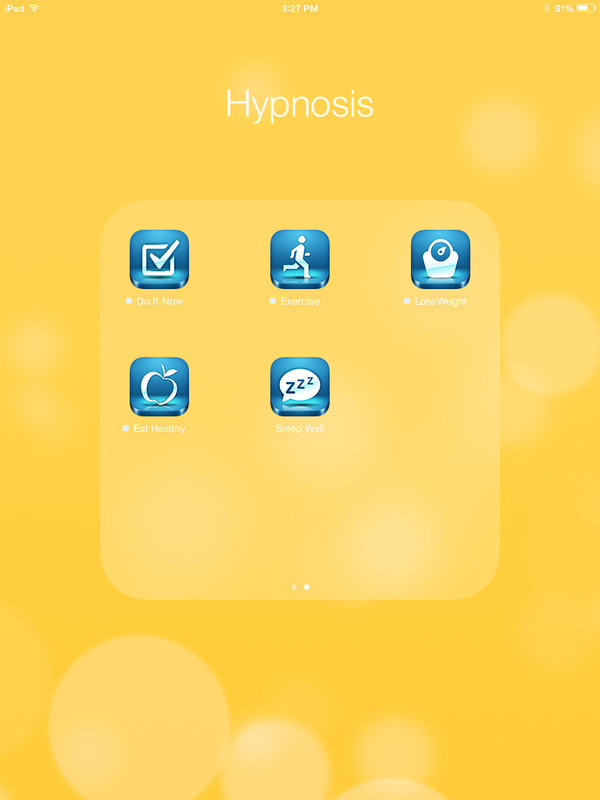 So far, I am really enjoying hypnosis. I am a skeptic when it comes to natural things in a lot of ways because I feel like my situation and problems are too complex for something that seems so simplistic to actually help with. But I do think I have been wrong about that all of this time. I just wanted to share in case any of you were looking for something new to try. It can’t hurt. May cause frustration if it does not help (been there!) but at least you tried. I would also love any other tips fellow IBDers or chronic illness sufferers have found that have helped them with their journey. My email is marisa@JournalingIBD.org if you would like to offer any coping mechanisms or anything else related to life with Inflammatory Bowel Disease / Chronic Illness.